The Washington Suburban Sanitary Commission’s (WSSC) Student Intern Program provides college/university students with the opportunity to gain practical experience in their field of study. 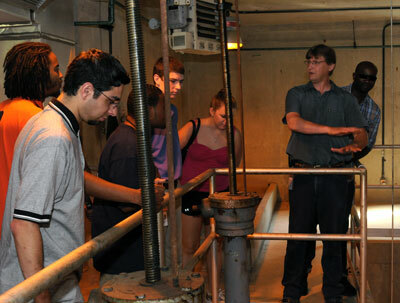 WSSC encourages active student participation in helping our organization fulfill its overall goal to be world class. We invite you to join the WSSC, where we are committed to providing you with interesting and challenging work opportunities as well as a supportive learning environment. Be currently enrolled full time in a college or university. Must have completed at least one semester (12 credit hours) of study. Have a 2.5 or higher grade point average. Successful completion of the interview. Proof of your legal right to work in the United States will be required upon employment. See specific postings for more detailed requirements. Engineering & Construction Civil, Environmental, Construction Mgt. Civil, Mechanical, Electrical, Environmental. Construction Mgt. NOTE: Internships are not available in all work function areas. Please check student intern job listings to identify available positions. Visit our Career Center Job Openings page to view all of the available internships each year. Select ‘Student Intern’ as the functional category to view all available internship opportunities. The program is a 10-week hands-on experience that starts in early June and ends in mid-August.